Known to be the most stylish man of the year, Kartik Aaryan is totally redefining hotness with his style statements and fashion appeal. With no second thought, we can happily conclude that the year belongs to Kartik! Starting his journey right from his epic monologue to unveiling a launching a new car for the entire nation, he surely has come a long way. That’s right, the star boy was in Delhi yesterday to launch the new Mercedes Amg G63 SUV along with Michael Jopp, VP Sales and Marketing Mercedes of India. 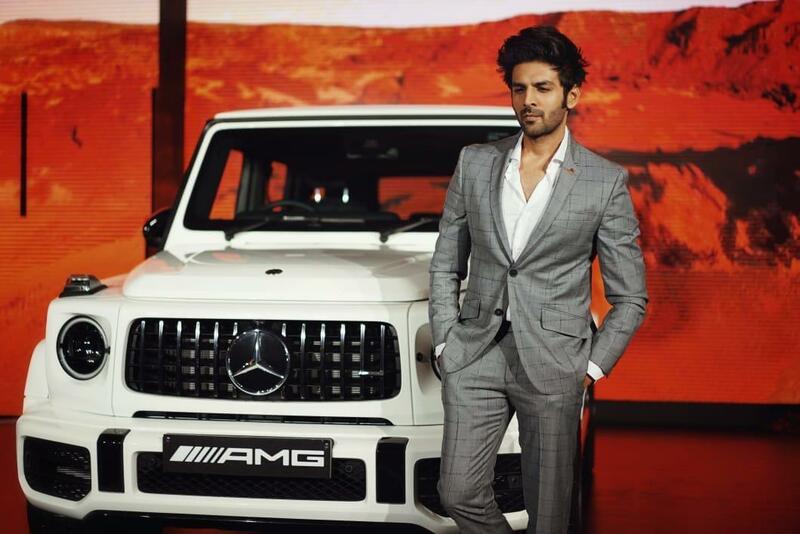 His hotness and the stylish car made for a perfect appeal to the audience and gave a rather striking vibe. On movies front, Kartik just wrapped up the shoot of Dinesh Vijan's Luka Chuppi with Kriti Sanon in his home town Gwalior and is gearing up for the Kannada blockbuster ‘Kirik Party’s Hindi remake. Recently, Kartik walked ramp for his clothing brand and received loud thunders and hooting for his looks.